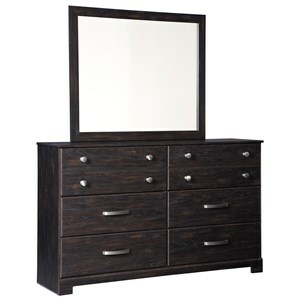 Add style and storage to your master bedroom with this six drawer dresser and mirror combo. 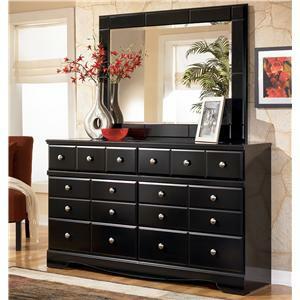 Finished in a bright white color the mirror frame and dresser will pop against your modern decor. Bare faces and simple, clean lines create contemporary design. Generous block feet and base apron are finished in a deep brown color to add contrast. 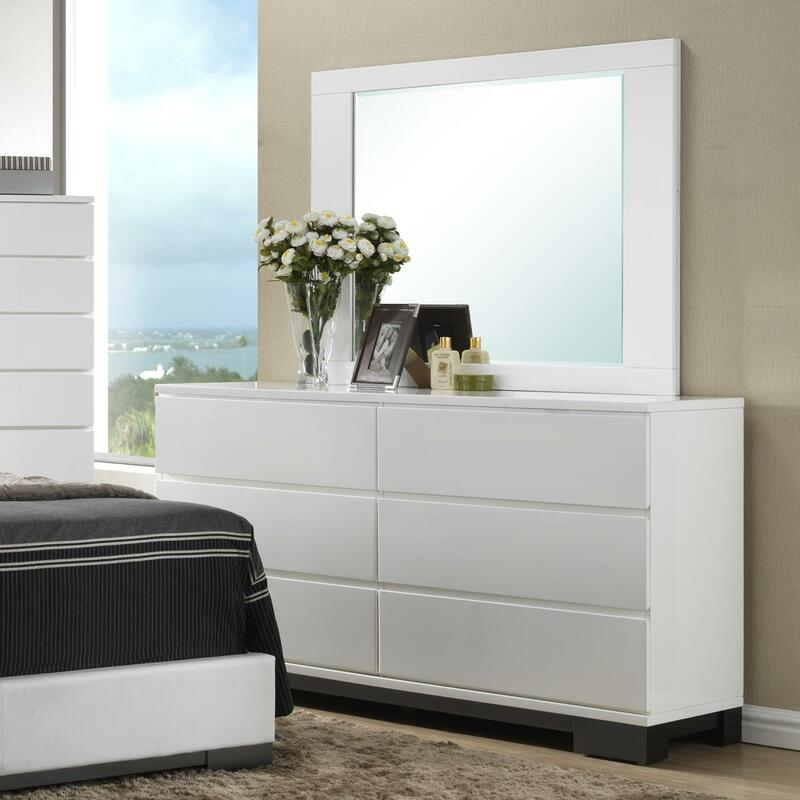 A large square mirror will create an opening effect to make your room feel more spacious and bright. 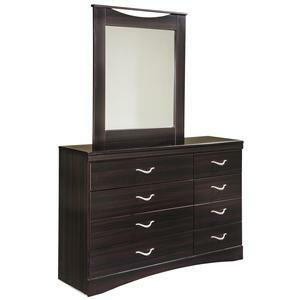 The Avery Contemporary 6 Drawer Dresser and Framed Square Mirror by Crown Mark at Household Furniture in the El Paso & Horizon City, TX area. Product availability may vary. Contact us for the most current availability on this product.